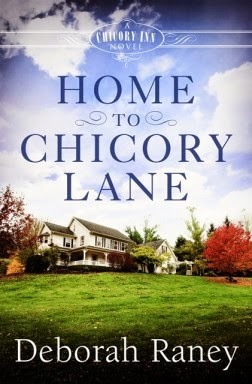 A RUP LIFE: Home to Chicory Lane #REVIEW plus $200 B&B Weekend Getaway Giveaway & 9/9 Facebook Party with Deborah Raney! This book explores a new marriage and the trials that come with that. Lead character Landyn is a newlywed of about six months when she realizes things are not how she thought they would be. I love how this book has really introduced us to a whole family - which will seamlessly lead to a whole series. The family is unique, loveable and very real with their life and emotions. The Inn which was a former family home lends to interesting characters popping up. This book featured strong women who desired to follow God and learn to be submissive. I appreciated their struggles with that and how they found their way to follow God and not lose themselves. I'm personally looking forward to seeing this series expand! You can purchase your copy of Home To Chicory Lane at your local book retailer and online at stores like Amazon.